Saliou Diallo works in his maize field. 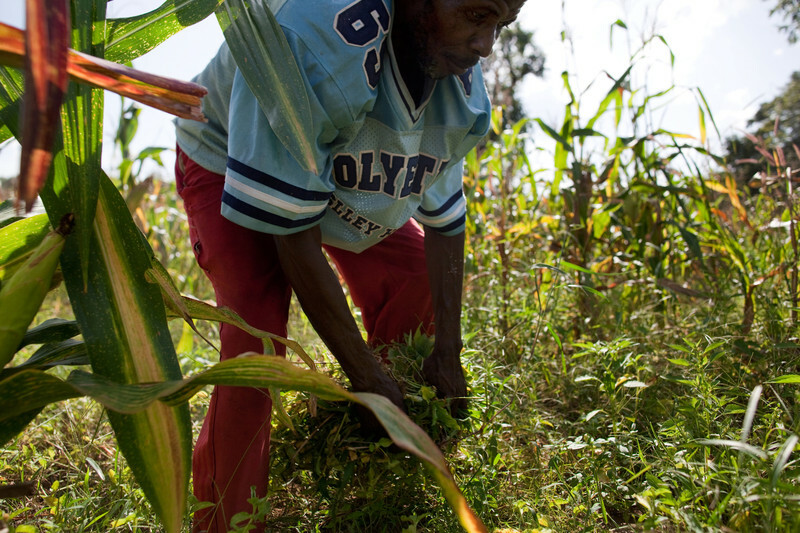 He used some cash from Oxfam to buy food for his family during the lean time while he was growing his crop. Photo by Holly Pickett/Oxfam America. 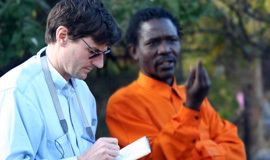 Before completely turning my back on 2012, I am reflecting on Oxfam’s work in the Sahel over the last year. After a season of poor or erratic rains across the region in 2011, Oxfam and many other humanitarian groups feared that another bad harvest in 2012 would push millions into starvation. I visited farmers in far eastern Senegal in April of 2012 to see what they recommended: They wanted seeds so they could plant, and food so they could work. They also said they needed rain, never guaranteed in the Sahel. Oxfam responded to the crisis in seven countries: Burkina Faso, Chad, The Gambia, Niger, Mali, Mauritania, and Senegal. We assisted more than 1 million people with a variety of programs tailored to the specific location: We helped people fleeing violence and instability in Mali get the food and clean water they needed to survive. Oxfam repaired wells, and provided fodder for animals, and paid people to work on erosion control and soil improvement projects. We distributed soap so people could keep clean, and the means to treat water, to reduce vulnerability to waterborne diseases. We distributed food in places where none was available, and money to buy it where it was. So the crisis is far from over, even if we did avert the worst possible outcome. There will be dry years in the future, so Oxfam and others are recommending governments invest in stockpiling food to help in times of shortage, and increasing agricultural and entrepreneurial training for small-scale farmers (especially women) to help them grow more food, and process it to make more money when they sell it. 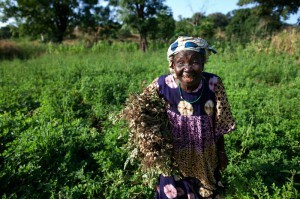 Boulata Diallo shows visitors her groundnut field. Photo by Holly Pickett/Oxfam America. She says she paid about 3,000 francs (about $6) to a neighbor to help her work in her groundnut field. “It’s hard to work in the fields when you are hungry, but with the cash I got some help,” she says, walking near the perimeter of her field. She’s was looking forward to a decent groundnut yield later in the fall, but did not hold out a lot of hope for her maize, which she says had not been growing well. It was a hot afternoon, and as the light got lower we shot some photos. Boulata Diallo’s smile was radiant.